As we begin the new year, feelings of change and improvement fill the air. Who doesn’t want to feel fresh and renewed after the holidays? That’s why, as 2017 came to a close, we decided it was time to have our carpets cleaned. At Office Divvy, we take care of it all for our members. When a client steps through those doors, we want them to be greeted by a well-managed, clean, and tidy space. We would like to think we’ve done a pretty good job at maintaining that. Though, when you’re somewhere every day, you can’t help but notice flaws that you begin to feel a little insecure about. We’re talking about that one coffee stain, underneath a chair, that you can only see if you tilt your head 45-degrees and squint reaaally hard. Small stains will eat away at you, but large stains seem to almost become a part of life. Too big to handle, so why even try? We may climb a few sets of staircases and sweat a little, but how many of us are even going to attempt to climb Mt. Everest? 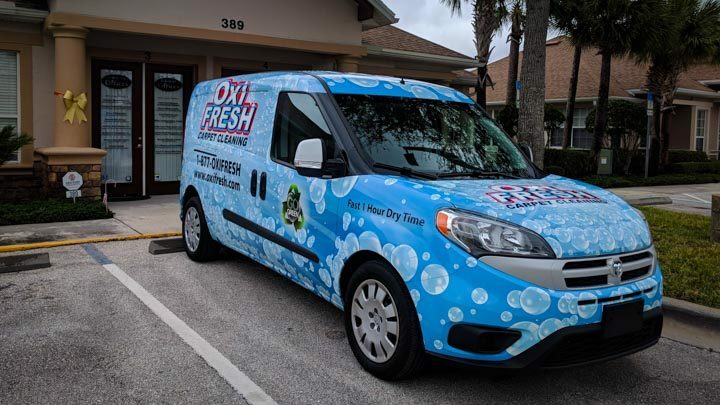 That’s where Oxi Fresh of Palm Coast came in. The attention to detail was unparalleled. We could not believe the lengths they went through to deliver a great customer experience. All the way from booking to when they arrived, everything was handled professionally. Things were so so carefully removed and put back. It was remarkable. We fondly refer to it as our Lady Macbeth Spot. The spot is finally gone. Carpet cleaning is something we do once a year. We have finally found a company that does it to the standard that our members and their clients deserve. Here’s to a stain-free 2018! And if it isn’t, at least we know someone has our back. We are known for our Coffee, Coworking, and Community and now clean carpets too. Thanks Oxi Fresh of Palm Coast. This Post was written by Oliver Arredondo. Oliver is a member of the Office Divvy Digital Team. He produces great graphics and videos, and also helps with event-management. ← Google Calendar 2017 Update… Finally 1990s are over!